Scott and Walter welcome you to EFLshorts. By Scott Lauder and Walter McGregor, published by Helbling 2014. Levy, an old Greek sailor, takes on his last job and discovers that the cargo on board is not what he expected. Molly, an American teenager finds a body on the beach when she’s walking her dog. What happens when Levy tells the captain? Why does the body disappear? And how are Levy and Molly connected? 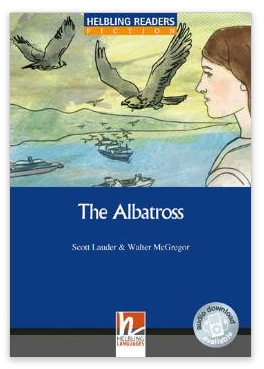 An adaptation of Howard Pyle’s classic story by Scott Lauder and Walter McGregor published by Helbling 2014. The Sheriff of Nottingham is Robin’s biggest enemy. He hates Robin because Robin is an outlaw. But most of all, the sheriff hates Robin because everyone else loves him. Does the sheriff catch Robin? 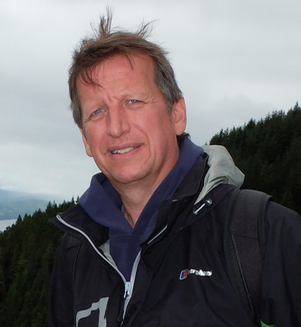 Or does King Richard save him and his Merry Men? 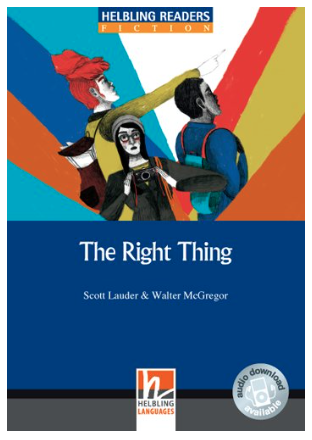 By Scott Lauder and Walter McGregor, published by Helbling Languages (2015). When three teenagers uncover a story that threatens the career of the British Prime Minister, Morrow, a British secret service agent, must make a decision: do the right thing and die, or do nothing and live. The artwork for our new story is by the fabulous Arianna Vairo. The Boy King Tutankhamun by Scott Lauder and Water McGregor, published by Oxford University Press. Look out for our OUP Bookworm. King Arthur, published by Helbling Languages. Our adaptation of Howard Pyle’s classic tale. The third and final part of our Morrow trilogy is called An Eye for an Eye and is published by Helbling Languages. Another Bookworm for Oxford University Press called Pompeii. Which is your favourite EFLshorts story? Teachers, please feel free to use any or all of the stories and activities on this blog for your classes. Please note, however, that no user of this site may make use of the site’s content for commercial purposes. Users wishing to use the site for reasons other than for private reading and/or educational purposes are requested to obtain the express prior written permission of the site. Please also note that users expressly agree that use of the site or any of the materials contained therein is at the user’s own discretion and entirely at the user’s own risk. Many thanks, Merridy2013. Enjoying your blog too. Hugely informative. Happy posting! Thank you very much for asking permission and being interested in our stories. In answer to your question, you certainly may use our content. But please remember to give credit (by posting a link, perhaps?) and please remove our content if you decide to charge people money on your site (we want our web stories to remain free, always). Good luck! It looks like a great website. This site is very useful for my EFL students. Thank you!! Most welcome! Really glad you find it useful. All the best, Scott. May I convert the content of a story into an ebook for my students to read on their mobile devices as it is without any changes to the content and including the efl shorts at the end of each story as it is now? Great job guysq congratulations!!!! I would like to order Robin Hood and the Boy King Tutankhamun fro my class. From where can i get the ISBN number to place an order. Hi Nuzhath, Many thanks for being interested in these books. 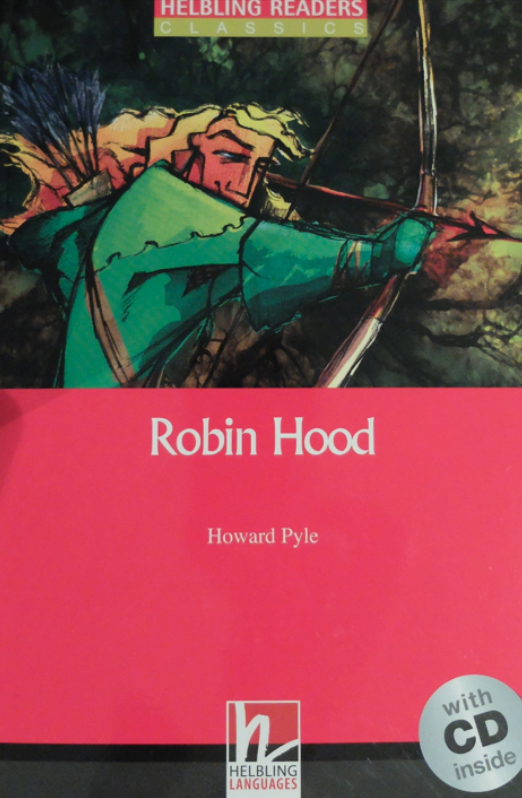 I think the ISBN for Robin Hood (with audio) is 9783852729459. As for Tutankhamun, I believe it is 9780194209328. Hope your classes enjoy them. Let us know. Thank you for your great graded reader stories. 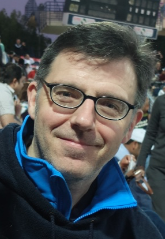 Could I re-publish on my website at ioetieuhoc.net (with credit for https://eflshorts.com/ at the end of each story)? My website is used to support kids leanring English by playing game and reading graded reader stories (Always free, just put some ads such as Google Adsense in future).